MOSCOW (Sputnik) - Iranian Foreign Minister Mohammad Javad Zarif has arrived in Damascus to hold talks with his Syrian counterpart Walid Muallem and President Bashar Assad, the Iranian Foreign Ministry stated on the Damascus-Tehran bilateral relations and the Syrian crisis settlement. "Mohammad Javad Zarif has arrived in Damascus with a political delegation at the official invitation of Syrian Foreign Minister Walid Muallem for talks and consultations with his counterpart, as well as with Syrian President Bashar Assad and Syrian Prime Minister Imad Khamis," the ministry said in a statement posted in Soroush messenger. 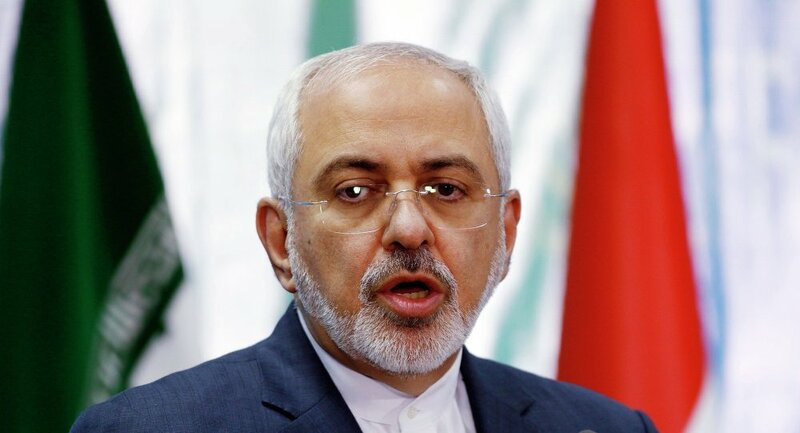 Terrorists should be expelled from the Syrian province of Idlib, Iranian Foreign Minister Mohammad Javad Zarif said, during his visit to Damascus. "A process of complete terrorism elimination is underway in Syria, the remaining terrorists, including those from the Jabhat Nusra [terrorist organization, banned in Russia] should be expelled from Idlib," Zarif was quoted as saying by the by the state-run IRNA news agency. This visit takes place on the eve of the meeting of the Presidents of Iran, Russia and Turkey, which is scheduled for September 7 in Tehran, the Iranian press reports. Last week, Iran's defense minister signed an agreement for defense cooperation between the two countries with his Syrian counterpart during his visit to the country. Iran, alongside Russia and Turkey, is a guarantor of the ceasefire regime in Syria. The situation in Idlib has recently escalated amid reports on terrorists preparing a false-flag chemical attack against civilians, set to provoke western nations into launching a military action against the Syrian government, which they have already accused of chemical attacks against civilians. According to the Russian Foreign Ministry, talks on the creation of humanitarian corridors enabling civilians to flee the province are underway, and the information on the possible attack has been transferred to the Organization for the Prohibition of Chemical Weapons and United Nations.